This is a specially designed tour for you to explore the historical and cultural cities of Taiyuan, Datong and Pingyao to experience the glorious Shanxi local culture and merchant culture, and Buddhist culture. Also you will explore the sacred Mount Wutai. 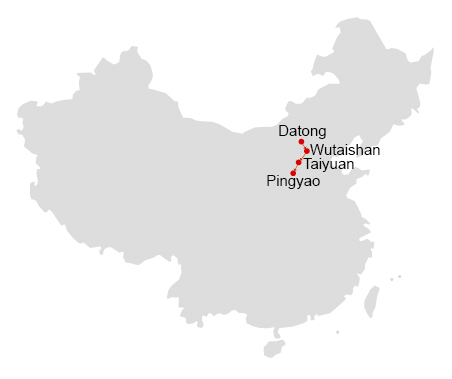 Meet and welcome at Datong Airport/train station, then proceed to your hotel. Our guide will meet you at the airport or the train station of Datong and then transfer you to the hotel for check in. Enjoy the remainder of the day. 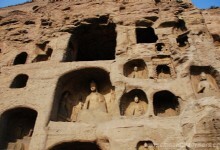 Today your Datong exploration will begin with a visit to Yugang Grottoes. 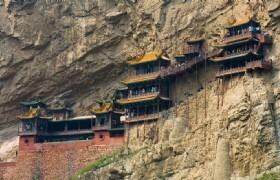 Yungang Grottoes are one of China's Great Grottoes which were built 1,500 years ago. 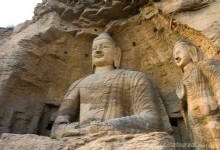 There are 45 caves opened for visit with thousands of Buddha statues seated. These delicately carved Buddha statues are of different sizes, different expressions and postures. These lively statues with rich and impressive expressions are truthful reflections of the life in the ancient North Wei Dynasty. When you are enjoying these art works of stone carving, you would also be impressed by the profession and wisdom of the ancient people who made these statuses. 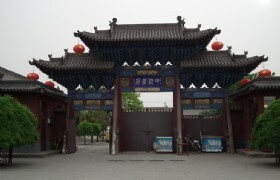 Then we will move to visit Huayan Temple. The Huayan Temple is the largest and most perfectly preserved temple of the Liao (916-1125) and Jin (1115-1234) dynasties in China. The temple is consisted of two parts, the upper temple and the lower temple. You will see the compact layout and the splendid construction in the upper temple, and appreciate treasures of painted carvings and wooden sculptures of the Liao Dynasty and other relics in the lower temple. The last attraction to visit today will be Nine Dragon Wall. Datong Nine Dragon Wall is built in 1392 during the reign of Hongwu of the Ming Dynasty and is the largest and the oldest Nine Dragon Wall in China. With reliefs of nine dragons of different vivid postures and colors, the Nine Dragon Wall in Datong provides unique aesthetic artifacts of the Chinese imperial culture to appreciate. This morning our guide will pick you up and take you to visit Hanging Temple at first. The Hanging Temple, as the name suggests, is a temple hanging somewhere not built on the ground. Constructed according to the natural layout of the cliff on the basis of mechanics, this temple is actually supported by crossbeams which are fitted into the cliff. With a complex of three religious halls and 40 rooms, this temple is linked by mid-walkways from the left to the right. There are clay sculptures, stone carvings, copper and iron statues characterized by Taoism, Buddhism and Confucius. The odd structure, crafty design, bold construction, artistic value, and the combination of Taoism, Buddhism and Confucius have made the Hanging Temple an architectural wonder and hot attraction. Next we will move on to visit Wooden Pagoda. The Wooden Pagoda is located in Yingxiang County, about 70 kilometers from Datong City. The Wooden Pagoda was built in the year of 1056 during Liao Dynasty and is the oldest and highest wooden pagoda in the world. It is an octagonal-shape pagoda in the height of 70 meters and 6 stories. The Wooden Pagoda built to be strong and elegant with artful design and subtle structure is a fine example of traditional Chinese wooden architecture. Also the collection of precious relics like color paintings and Buddhist scripts preserved in Wooden Pagoda make it a great place to get to know the history and culture of Liao Dynasty. Then our guide will drive you Mt. Wutai. Tonight you will stay at the hotel in Mt. Wutai area. Early in the morning our guide will pick you up and take you to explore the Mount Wutai. 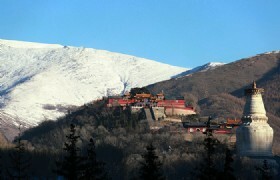 Mount Wutai that has five flat peaks is situated in Wutai County in the northeast of Shanxi Province. 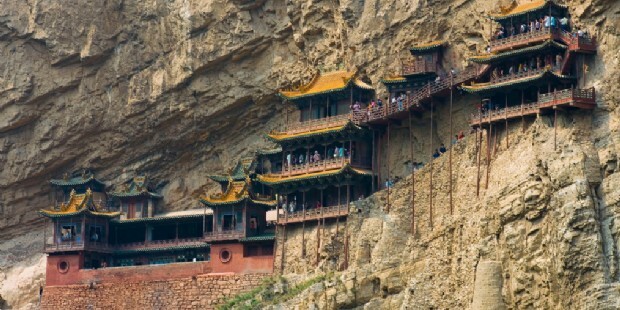 It is one of the four sacred Buddhist Mountains in China. 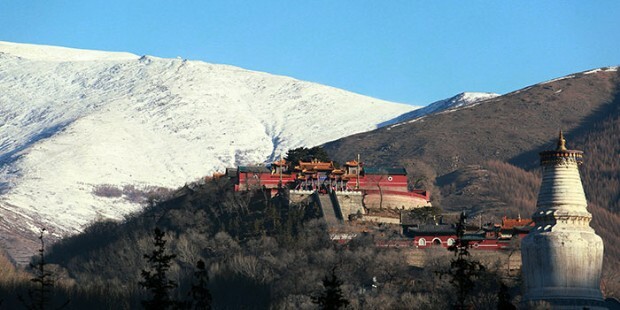 As the dwelling place of Buddhist Manjusri, as well as its long history and imposing architectural complex of Buddhist temples, Mount Wutai is considered the first of the four sacred Buddhist Mountains. Housing a collection of 53 monasteries and temples, Mount Wutai has developed profound Buddhist culture. Also the beautiful natural landscape of peaks, rocks, valleys, waters and green forests adds more charm to Mount Wutai. In Mount Wutai, there are famous temples like Xiantong Temple, Tayuan Temple, Manjusri Temple, Shuxiang Temple, Luohou Temple, Nanshan Temple, Nanchan Temple, Foguang Temple and so on. You will visit some of these temples to experience the solemn Buddhist tradition and culture there. Then our guide will take you back to the hotel and you will have a good rest tonight. After breakfast at the hotel, our guide will drive you to Taiyuan which will take three hours. 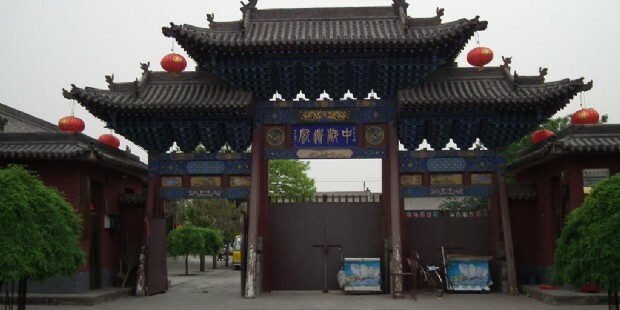 When arrived in Taiyuan, our guide will bring you to visit Jinci Temple. 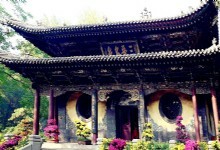 The Jinci Temple is an ancient ancestral temple which was firstly built 1,400 years ago. After expansions in the late following dynasties, Jinci Temple has a collection of over 100 halls, towers, pavilions, terraces, and bridges, sculptures, gardens and buildings in diverse architectural styles. Then our guide will transfer you to the hotel and help you check in. This morning, our guide will transfer you to Pingyao from Taiyuan and you will visit Pingyao Ancient City when arrived in Pingyao. Pingyao Ancient City is one of the four best-preserved ancient cities in China. It is situated in Pingyao County in the center of Shanxi Province. This ancient city has a history more than 2,700 years has remained the intact appearance Ming and Qing Dynasty and is quite an outstanding example that displays the economy, culture, society and religion of the ancient Ming and Dynasty. Inside the Pingyao Ancient City, you will visit the magnificent Ancient City Wall to get beautiful views of the ancient city. Next our guide will bring you to visit Shuanglin Temple. The Shuanglin Temple located in 6 kilometers southwest of Pingyao is an ancient Buddhist temple with a long history. Shuanglin Temple is highly reputed for its collection of over two thousand decorated clay statues dating from the 12th -19th centuries. Also there are valuable colored sculptures preserved in Shuanglin Temple. Afterwards, our guide will take you to the hotel and help you check in. This morning after breakfast, our guide will bring you to visit Rishengchang Exchange House at first. Richangsheng Exchange House was firstly opened during the Ming and Qing Dynasty to provide banking business for Shanxi merchants. It is the first money exchange house in China and is considered as the founder of modern banks. As a production of the prosperous culture of Shanxi merchants, the architecture of Richangsheng is an outstanding representative of local Shanxi culture. It is a combination of architectural art and function that applies the traditional style of local folk houses and also the features of local business shops. You will trace the past prosperity and glorious history from the house. Next we will proceed to visit Wang's Family Compound. The Wang’s Family Compound is a large and magnificent architectural complex of traditional Chinese folk houses of the Qing Dynasty. This compound covers an area of 250,000 square meters with several hundreds of courtyards and thousands of houses. 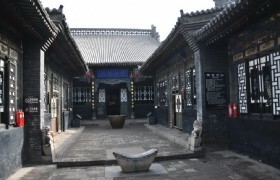 The Wang’s Family is reputed as a museum for architectural arts. There you will appreciate the essence of folk houses, carvings and decorations in construction. 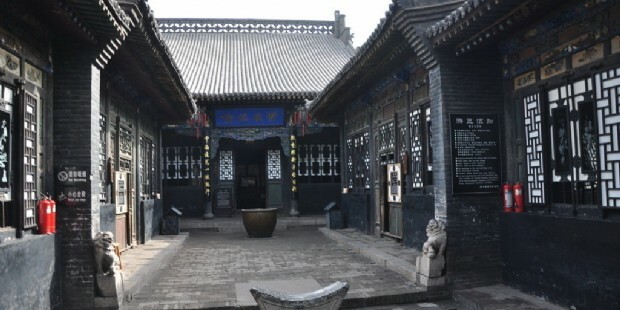 Also the numerous historical and cultural relics preserved in the compound will delight you. At last, our guide will transfer you to the train station for your departure. Have a nice trip!